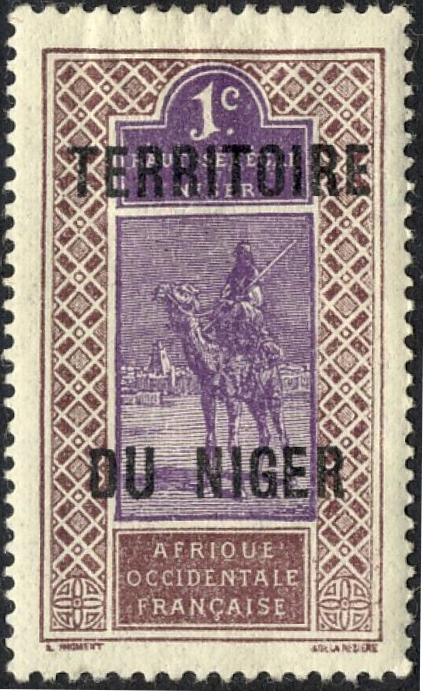 Niger was part of French Sudan from 1894 to 1899. When that was broken up in 1899 it became part of Senegambia and Niger and in 1904 Upper Senegal and Niger. In December 1920, Upper Senegal reverted to French Sudan, Niger Territory was created and became a French colony in October 1922. 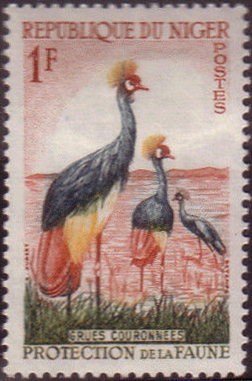 Niger issued its own stamps from 1921 to 1942 and from 1944 to 1959 used those of French West Africa. 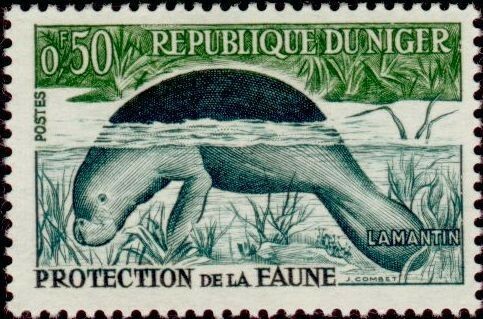 Niger became an autonomous republic in December 1958 and fully independent in August 1960. 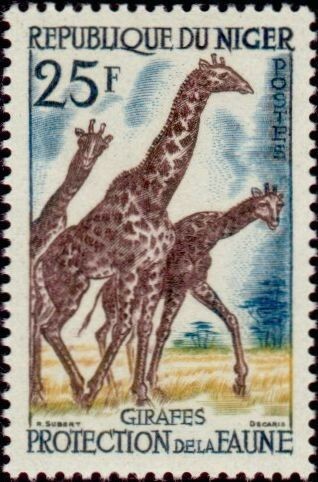 The first set of stamps was issued over a few years: only the 25fr value depicting giraffes was issued in 1959; the 1fr value (first of the set in Scott ) in 1960. Gibbons  includes two 1962 issues and starts the set with the rather sweet 50c Sc107 SG99. Sources: ScS , SGP6, SGP14 .